Turkey’s ongoing military incursion in northwest Syria, and some of the geopolitical implications of these on Turkish-Iranian relations were the focus of a number of interesting articles in the Arabic press this week. A Saudi newspaper also described Sudan’s efforts to mend relations with its neighbour, Egypt, after a deal with Turkey aroused Egyptian suspicions. The Saudi liberal newspaper Okaz said on Thursday that Turkish forces had established a new observation point in the Syrian province of Idlib “to reduce the escalation of the Syrian conflict”. Idlib is the largest territory held by rebel forces holding out in a civil war that has been ongoing since 2011, but is widely seen as nearing an end that will see Syrian President Bashar Assad maintain his rule of the country. A large portion of the rebels active in Idlib have Turkish backing, but these are fighting the al Qaeda-linked Hay’at Tahrir al-Sham, as well regime forces. Turkey’s incursion into Afrin, northwest Syria, to fight the predominantly Kurdish Peoples’ Protection Units (YPG) opened another front in the complex civil war when it was launched on Jan. 20, and many of the Turkish-backed rebels in Idlib are believed to have left the area to join the fighting against the YPG. A Turkish military convoy crossed the Syrian-Turkish border and advanced about 70 km into Idlib province to set up the observation point near the village of al-Serman, according to the news report. أقامت القوات التركية نقطة مراقبة جديدة في محافظة إدلب السورية في إطار جهودها لخفض التصعيد في النزاع السوري. بحسب وسائل إعلام حكومية. Qatari media network Al Jazeera on Tuesday looked at Turkish relations with Iran in the context of Syria, where the two historic rivals are on opposite sides in a proxy war. Turkey is backing rebel factions in the civil war, and has harshly condemned Assad since Syrian security forces began violent crackdowns on its citizens during protests that preceded the fighting. Assad has survived these protests and almost seven years of civil war in large part thanks to the backing of Iran, which considers his regime as essential to its regional interests. While Turkey is cooperating with Russia in its Afrin incursion, Operation Olive Branch, and in its activities in nearby Idlib, Iran strongly opposes both, and may have encouraged pro-Assad forces to attack Turkish military convoys, according to Al Jazeera. On Jan. 30 a Turkish military convoy was struck by a car bomb in the town of Atarib, which lies between Idlib and Afrin, killing one soldier. 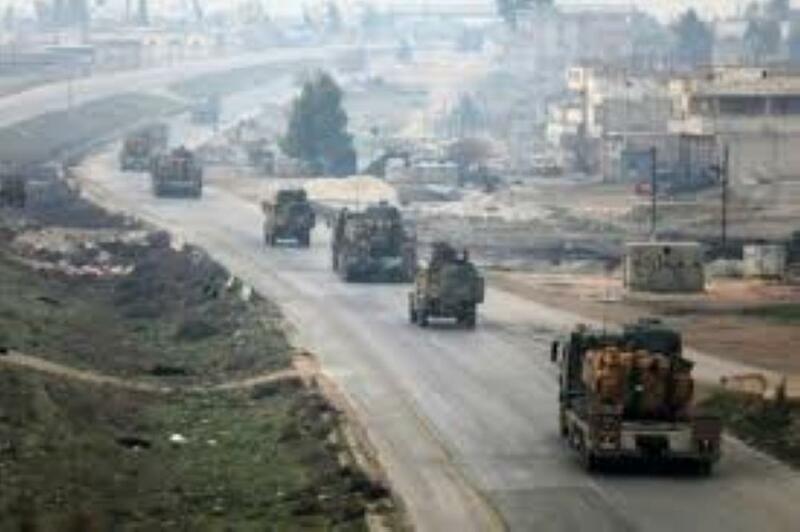 The Syrian opposition news site Al Thiqa said the attack was carried out by the YPG, while the Britain-based Syrian Observatory for Human Rights said “forces close to the Syrian government” had carried it out, according to a news report in Turkish newspaper Birgün. However, Al Jazeera predicted Iran would not escalate the proxy war, in spite of what it sees as provocative actions by Turkey. Rather, it will look to “compartmentalise” its relations with Turkey “into areas of competition and cooperation in the wider region”. Despite tensions over Syria, Iran has good cause to work together with Turkey in a number of areas, not least the countries’ mutual opposition to attempts by Kurdish groups to gain more autonomy in a region spanning four countries that Kurdish nationalists consider their nation’s heartland. Turkey and Iran joined forces with the central Iraqi government last year to foil a bid by the Kurdistan Regional Government (KRG) for independence in northern Iraq. The KRG made its bid under the leadership of KRG President Masoud Barzani after an independence referendum on Sep. 17. However, faced with stiff opposition from Turkey and Iran and a military confrontation with Iraqi forces, Barzani abandoned his project and stepped down on Nov. 1. Besides this, Turkey and Iran have significant shared economic interests, and Tehran sees Ankara as a potential ally in its protracted disputes with its Arab neighbours, Israel and the United States. The two countries have already been collaborating to bolster the Gulf state of Qatar, after Saudi Arabia, the United Arab Emirates, Egypt and Bahrain imposed a blockade on the country in June 2017, saying it had been harbouring terrorists. Thus it is “not surprising”, said Al Jazeera, that Turkey and Iran appear to be strengthening ties, in spite of the complications arising from Syria. A meeting between Turkish President Recep Tayyip Erdoğan and his Iranian counterpart Hassan Rouhani is expected soon, according to the Qatari network. سيدفع التدخل التركي المتزايد في سوريا إيران إلى الرد عليه، لكن بعض الاعتبارات ستحد من الحرب بالوكالة بين القوتين الإقليميتين وتقصرها على الأراضي السورية والعراقية. The London-based pan-Arab newspaper Al-Quds Al-Arabi published an article on Thursday reporting from the Sudanese parliament, where a parliamentary foreign relations committee discussed Sudan-Egypt relations and the role a recent deal with Turkey had played in tensions between the two countries. The deal, covered in this column, granted Turkey the right to reconstruct a disused port island in the Red Sea coastal city of Suakin, sparking Egyptian fears that Ankara would establish a military presence there as a result. The Sudanese and Egyptian foreign ministers met last week, resolving the tension and dispelling the rumours about plans for a Turkish military base on the island. “Egypt picked up the wrong message” when Turkish President Recep Tayyip Erdoğan visited Sudan last December to sign the deal, the head of the foreign relations committee told parliament. With this misunderstanding cleared up, Sudan’s aim is to “reset” relations with all of its neighbours, “especially Egypt”, according to the committee. The committee stated that Sudan had cooperated to establish a joint force with neighbouring Chad to guard their shared borders, and aimed to replicate this with its other neighbours, South Sudan, Egypt and Eritrea.